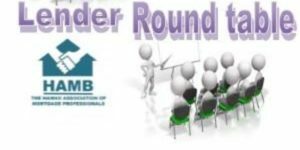 The Hawaii Association of Mortgage Brokers (HAMB) once again is happy to present to the mortgage industry, it’s Round Table event. At this event, several wholesale lenders will show case their company and products to our HAMB members and MBA members (Non-member tickets are also available). Your ticket will include the admission to sit at 6 (maybe 7) Wholesale Roundtable Presentations, heavy Pupus, and 2 drinks.